Interested in purchasing a similar item? Please use the "Contact Us" button to the left to send us an email or call our store. We may have something that closely resembles this product in stock! 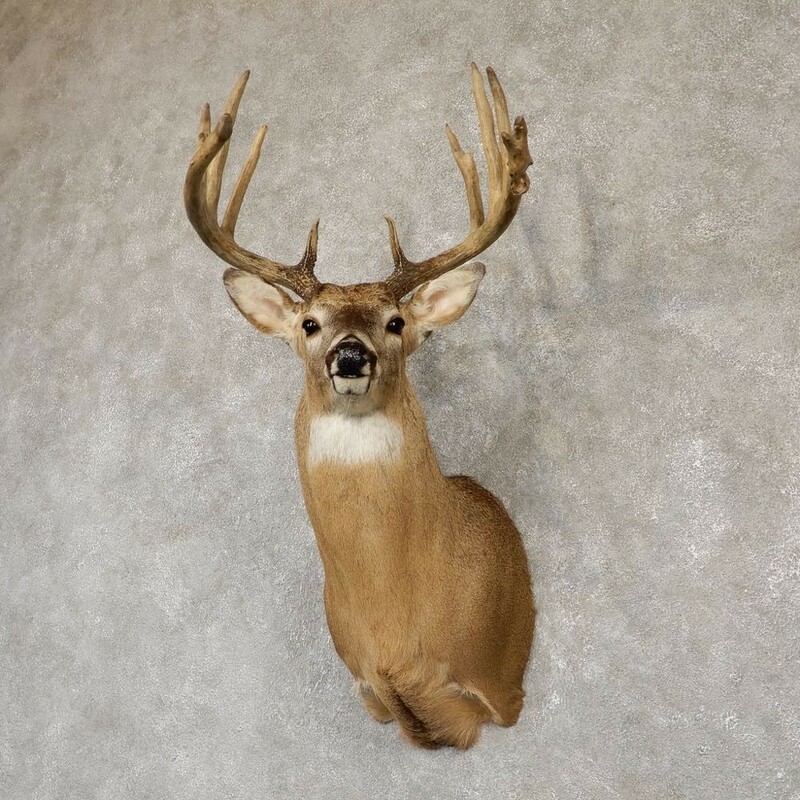 This is a generous Whitetail Deer shoulder taxidermy mount. This mount is posed in an upright position looking to its left side out into the room. 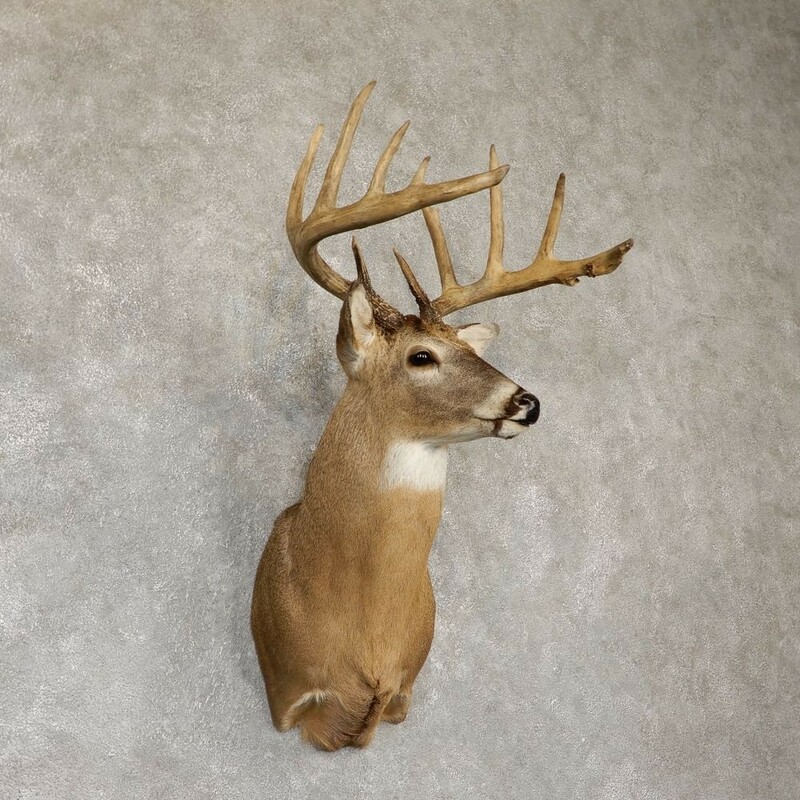 This buck has a massive set of antlers which achieve an SCI Gold Medal Score of 165 4/8". 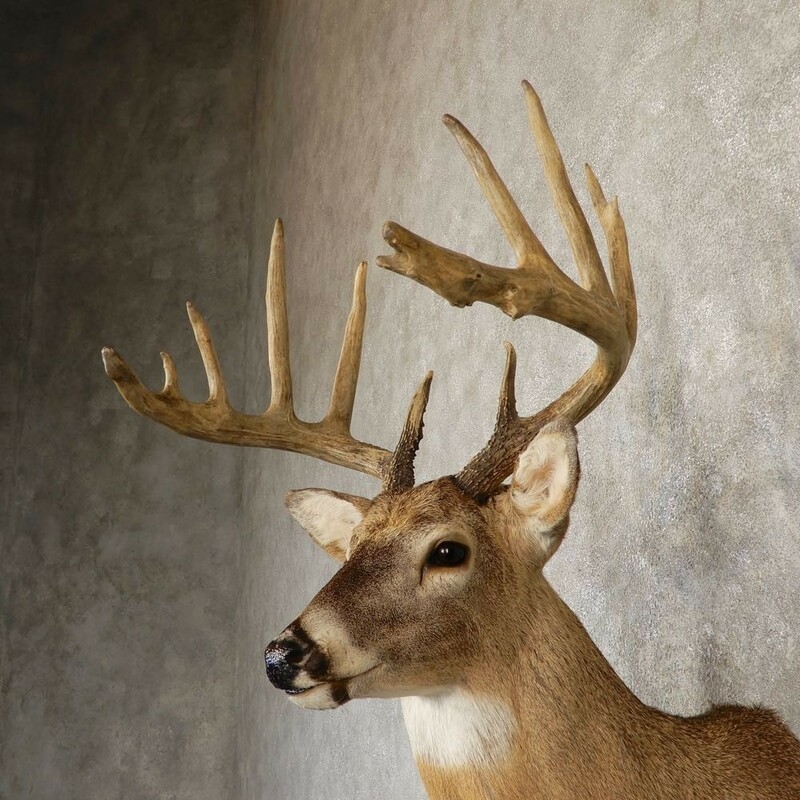 The main beams long and unique which add to the overall appeal of this buck. 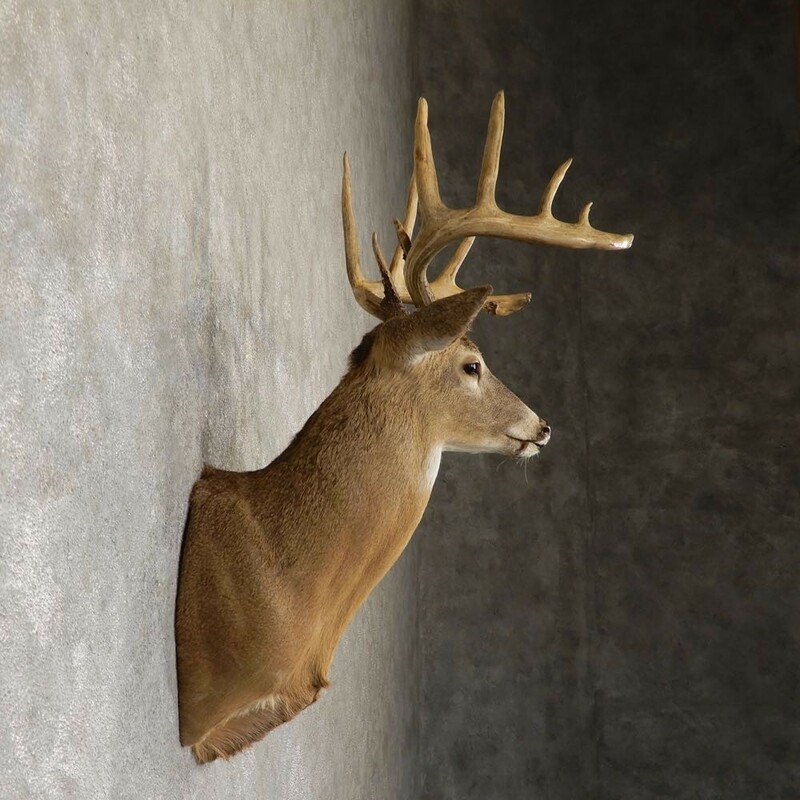 The hide and hair are in perfect condition and the taxidermy is top notch. All of this combined has helped this item achieve our Premier™ overall quality rating. All applicable measurements and dimensions are provided to help ensure this item will fit within your intended space, as well as meet expectations regarding the item's featured attribute sizes, scores, etc. 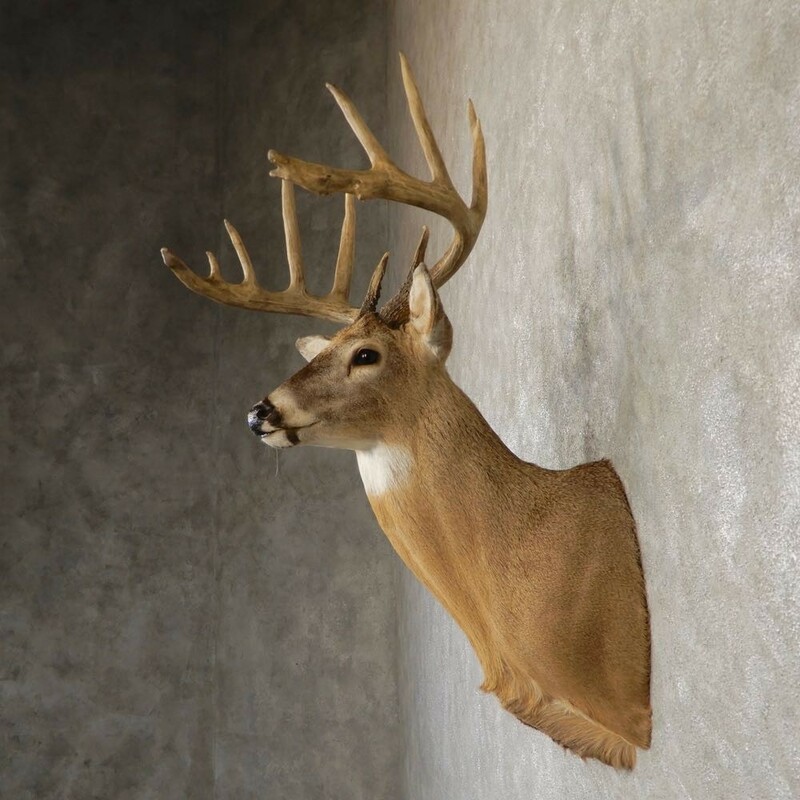 - This Whitetail Deer Shoulder exceeds the Safari Club International Gold Medal trophy book score requirement with a score of 165 4/8"
- There is already a hanger attached to the back of this item. - The item will hang on a properly anchored drywall screw. The Whitetail Deer (Odocoileus virginianus) is one of the most commonly recognized animals in all of North America. The male whitetail deer is often referred to as a 'Buck" and can grow to 300 lbs, producing antlers that are fully grown and shed annually. 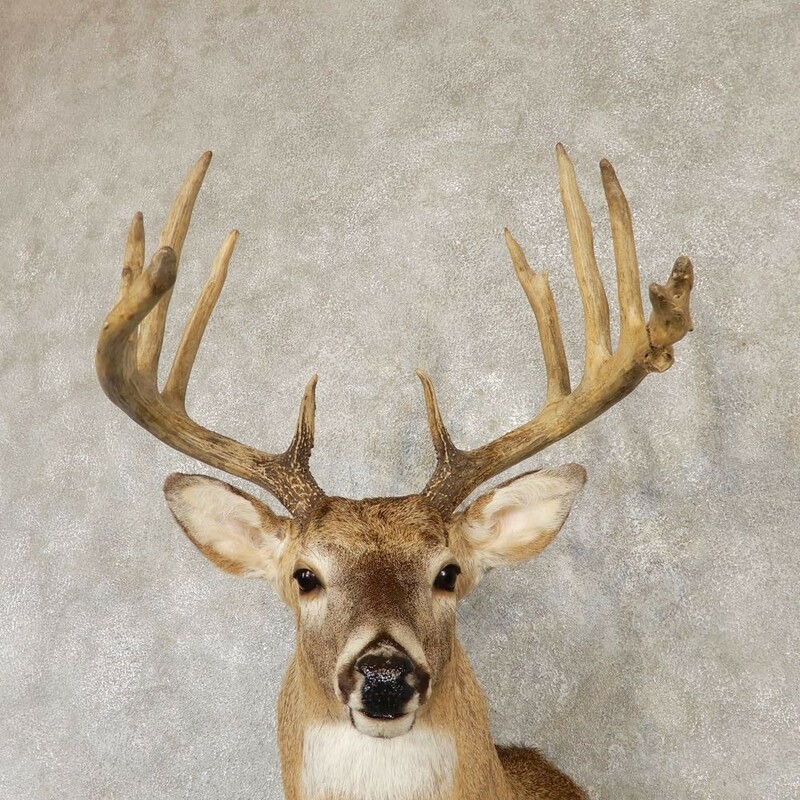 Whitetail deer are hunted in nearly every state throughout the U.S. with trophy class antlered males being the most desirable. Their habitat includes everything from the open prairie to deep forests, making them extremely adaptable to a variety of surroundings. Whitetail deer have a specialized stomach that allows them to eat plants, shoots, and grass as well as various mushrooms that are otherwise toxic to humans. Gold (NT) - 183 5/8"
Silver (NT) - 166 4/8"
Bronze (NT) - 135" Gold - 151 1/8"
Gold (NT) - 162 7/8"
Silver (NT) - 140 6/8"
All-Time (NT) - 195" Minimum - 125"
This item ships FREE via Freight Delivery. When items are too large to ship with a common carrier (UPS, FedEx, etc) we are then required to ship with a freight service, which will deliver your shipment on a semi truck. We utilize a variety of freight carriers to quickly and safely transport large shipments to our clients around the U.S.
We pack and ship all of our items with a dedication to safe and secure transit, and over 40 years of taxidermy-shipping experience, utilizing innovative new ways to pack your order in a wooden crate, ensuring it arrives to you in the exact same conditon that it left our store. If your item is shipping via freight, please let us know if the destination is a Residence or Business, as well as a Phone Number(s) for the delivery location so that the freight company can contact you to set up a specific delivery date and time when your package gets close to its final destination. When the shipment arrives, it is the CUSTOMERS responsibilty to have either a forklift or enough strong helping hands available to unload the item from the back of a semi truck to the ground and then to its final destination. For an additional fee, we can arrange to have a semi truck trailer that is equipped with a lift gate that will lower the crate to the ground. This service ONLY lowers the crate off of the semi truck to the ground, it DOES NOT provide service to move the crate from the spot it is unloaded into your house or business. This lift gate service can be of great help to those that do not have access to a forklift or small crew of people to assist in lifting/lowering the crate to the ground. If you would like this option, you MUST contact our store for a shipping quote that includes this liftgate service. 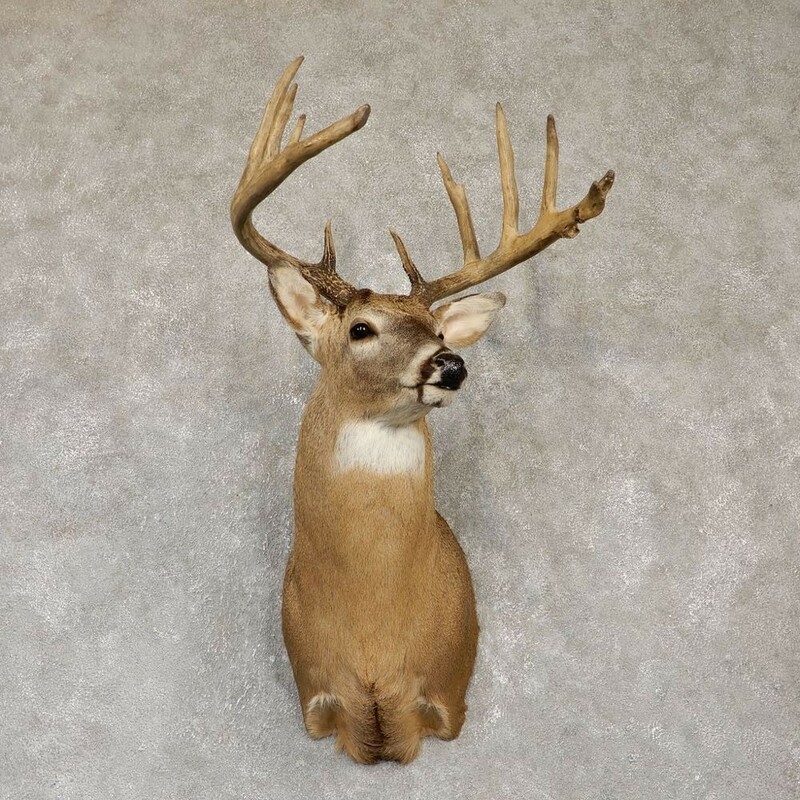 Grading each item based on it's overall characteristics helps assist clients by taking the guess work out of choosing the right quality taxidermy piece to meet their needs. 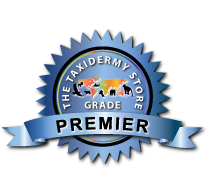 We assign grades to each item based on our 40+ years of experience in the taxidermy industry. From serious world class specimen collectors to first time buyers, we can help you find just the right item to meet your needs! 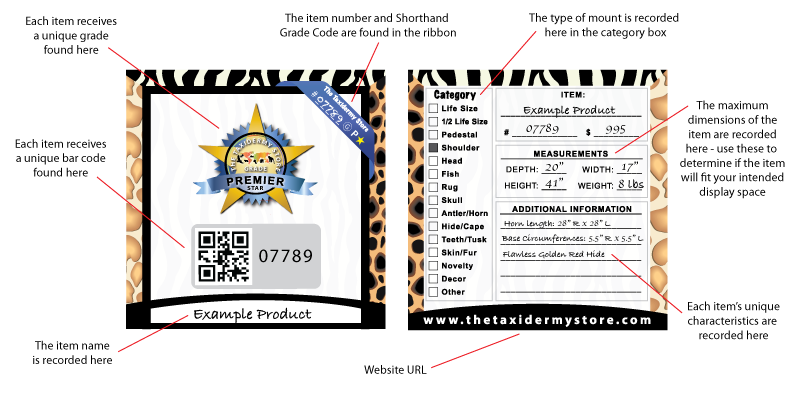 The Specifications of each item, including dimensions and unique characteristics, are recorded on each GSC Card. We include the Depth, Height, Width and Weight of every item when possible. 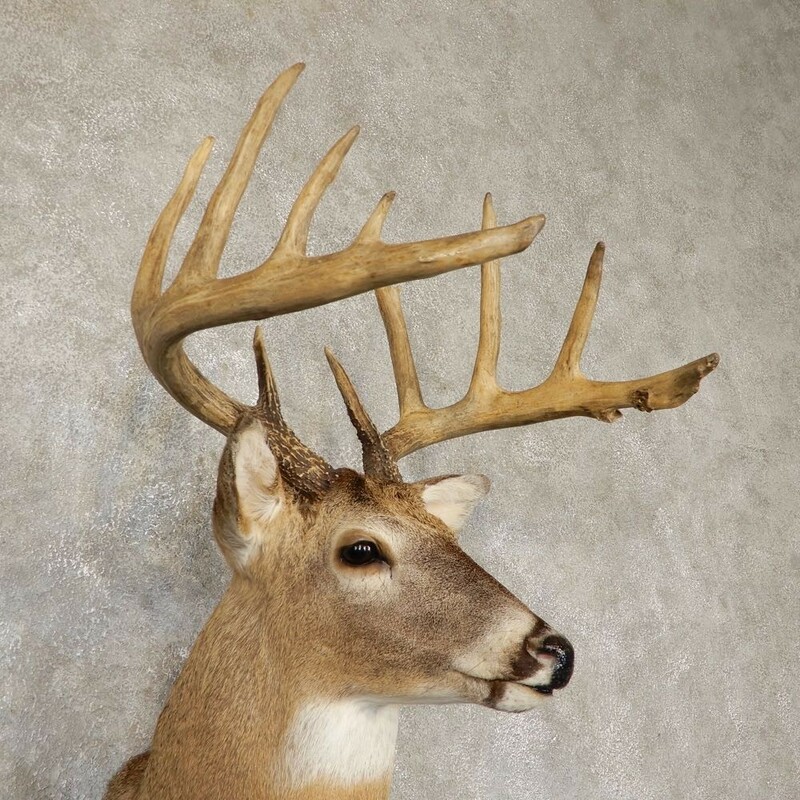 We also include other features such as horn and antler length (when applicable) as well as any other key attributes and descriptions to better identify each items unique characteristics. Below is a sample GSC card. The Specifications and Grade information are provided in each listing. © 2013-2017 The Taxidermy Store, Inc. All Rights Reserved.